Many consider the Aquarius woman as a frivolous, windy person, capable of ill-considered actions. It often gives the impression of a short-sighted and carefree girl. However, when the flirtatious and carefree look of the Aquarius woman will meet with the enchanting and elusive Gemini man, love relationships can not be avoided. In it he will find understanding, support, sincere man. After all, in the eyes of other people, it is also not perfect, it is considered not mandatory and non-executive. Aquarius slope to talk, she as an outlet for Gemini, she will open her soul and fears. They are ready to go through life together, substituting their shoulder, during life’s misfortunes. Together they learn from mistakes, learning life’s lessons. The woman-Aquarius will not tolerate cunning, deceit, against her. It is possible, will not forgive betrayal. The Aquarius woman likes to shock the public. In relations, Gemini does not like "understatement" or half-truth, this can lead to rabies. The Aquarius woman can arrange interrogation with addiction, comment, criticize deeds, Gemini in turn, this can scare or amuse, it all depends only on the disposition of the spirit. Therefore, to argue, to let off steam yes, and noisy quarrels arise rarely. In the soul, the Aquarius woman is a dreamer, sentimental, whiny, touchy, vulnerable. Aquarius is inherent in many complexes about appearance, attractiveness. But her weaknesses diligently hide under the guise of indifference, showing no problems with her. Having met a man-Gemini, in his youth, Aquarius can be disappointed in his impermanence and frivolity. Despite all this, the compatibility of the man Gemini and the woman Aquarius is high, and they are rightfully considered one of the most successful combinations. Fate has not prepared a simple life for a woman-Aquarius. In her life there can be novels with married men, multiple marriages, with men much older than herself. Problems can arise in the intimate life of Aquarius and Gemini. Because of their own lack of confidence in the plan of intimacy, both of them who have experienced at least the reproach in their address will always remember. Having learned to get rid of fears of insolvency, they can bring their close relationship to harmony. Having lost love to each other, remain good friends. Parting can be avoided, but not losing interest in a partner. It is unlikely that the couple will be able to retain the established family structure, children, material obligations. There is no attraction, no union. Although, due to the compatibility of the signs of the Zodiac, they often find common interests. 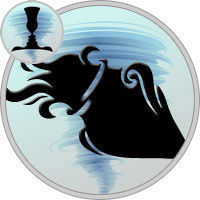 Perhaps, after a thirty-year boundary, or after unsuccessful marriages, having met, Aquarius and Gemini will cease to build illusory plans with a bright and carefree life. Will come respectability, fatigue from the ordeal, will find peace on the shoulder of the native person. Closer to the elderly, the couple will be absorbed in common interests, will always be together, and with respect and gratitude everyone will look at their mate. The family union in the compatibility of the female Aquarius and the Gemini man is very harmonious. Both partners belong to the same nature element — Air. Therefore, they easily understand each other. It is also believed that if fate has connected you to the man of your element, then you are already mature enough psychologically, feel completely self-sufficient and do not need someone to complement your weaknesses. In the conjugal union of the Aquarius woman and the Gemini, there are always a lot of original ideas, plans. Looking at this pair, it seems that they are specially created for each other. Love for them occurs most often "at first sight." Both partners love freedom and independence of thoughts. Their motto is: "Equal rights in everything". The minus of this union is that it is often unsecured, since the material side is weak both in one and in the other. Both the Aquarius and the Gemini do not need titles, ranks, or power. The pair of Aquarius-Gemini not only has excellent sexual compatibility, but also very similar views on life, on the family, and also they have a keen mind, a love for travel and curiosity. The ideal pair of Aquarius woman and Gemini man differs from the non-ideal couple in that the spouses rest together. In the usual pair of Aquarius women and Gemini men, the spouses usually rest separately. The Gemini man, like air, needs new information, and he is constantly looking for her. And Aquarius has the ability to find the unusual in the ordinary, and her hobbies can be found within her habitation. Therefore, the most important sign of an ideal couple is common interests, and there are not so few of them as it may seem at first glance. Spouses can be found on excursions, in hiking trails, walking tours through the night city. Also, they are happy to attend various seminars and training for personal growth. In terms of compatibility of the Aquarius and Gemini pair — there is always full mutual understanding and respect for each other. The Gemini man will never tell a woman-Aquarius that she is not engaged in her own business. In his face, Aquarius woman finds the best friend and the most understanding native person. A woman-Aquarius always has a lot of progressive ideas, to which the Gemini man treats with great interest. The only thing that in this pair is always not a lot of money, both partners do not know how to "accumulate good." But, both are not too upset because of this. When a woman-Aquarius and a Gemini male have children, they bring them up in a spirit of friendship with their parents. For both parents is important for the intellectual development of the child, so much attention is paid to the search for methods of education. Despite the fact that a pair of Aquarius woman and Gemini man have very good compatibility, but this is not yet a guarantee that the relationship will be long and lasting. The main problem of Aquarius and Gemini Zodiac signs compatibility is that the Gemini man does not value loyalty, devotion. He does not need stability and permanence. Gemini can easily break even the joyful relationship only because something new has appeared on the horizon. The Aquarius woman can calmly transfer some flirtation of the male Gemini, but if the relationship goes further than flirting, she will not tolerate it. A woman-Aquarius, unlike the Gemini men, needs a strong relationship. It is believed that the Gemini man is not ready to live his whole life with the same woman. Therefore, when a Gemini man remains faithful, it is fully a woman’s credit. According to compatibility horoscope of Aquarius and Gemini: Aquarius woman in order to maintain harmony in the family, it is worth remembering that the Gemini man loves flirting. But, flirting for him is nothing but an intellectual warm-up. Sexual relations and "side" adventures are in most cases not included in his plans. Therefore, to Gemini changed or decided to break off relations with you, it is necessary that the two conditions coincide. First, these are oppressive, tense relationships in the family. The Gemini Man always goes not "to someone", but "from something". If you can keep a good atmosphere in the house, then the Gemini man just stays in flirtation and will limit himself to it. The Gemini man is annoyed when the Aquarius woman shows persistence and perseverance, as well as her inclination to complicate everything. The Gemini man perceives as a tediousness, the desire of a woman-Aquarius to understand the situation deeper, to find a new way out, when the old one is not so bad and lies on the surface. And the second condition, which should coincide, so that the man-Gemini went on treason — is the presence of a woman next to him, showing him an increased interest. The Gemini man is not looking for a novel on the side, but will not give it up if it is offered to him. Therefore, when choosing places for rest, avoid those companies where single women gather. Choose yourselves to whom to go on a visit, and it is better, if it will be a man’s collective.